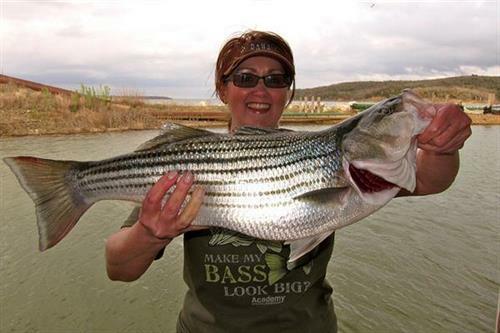 STRIPER EXPRESS provide professional striper fishing guides on Lake Texoma, Texas. Based at Mill Creek Resort & Marina, Striper Express has five charter boats available-the largest guide fleet on the Lake-each one professionally crewed. We Focus on Stalking and Playing Texoma's famous striped bass. Our Approach is akin to Fly-Fishing and Hunting. We actively seek our prey, moving frequently to find bass schooling and feeding at the surface. Only an hour and a half from the DFW Metroplex.